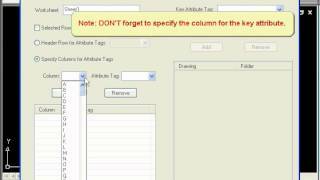 AutoAttribute is designed to link / import the Autodesk® AutoCAD® Attributes from Excel spread sheet. Using AutoAttribute, you can quickly make changes to the AutoCADattributes of the block references in the multiple drawings. Also AutoAttribute can insert the AutoCAD block references from Excel spread sheet and import the AutoCAD attributes by a key attribute containing the unique values. Export / Extract the attributes from multiple AutoCAD drawings to Excel. 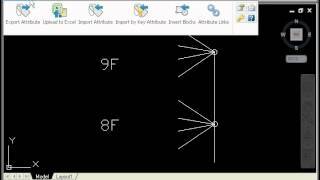 Export / Extract the attributes to the AutoCAD native table. Import / Link the attributes from the exported Excel file to multiple AutoCAD drawings. Import / Link the attributes by a key attribute containing the unique values. Insert the AutoCAD block references from Excel spread sheet. Support the dynamic block of AutoCAD. 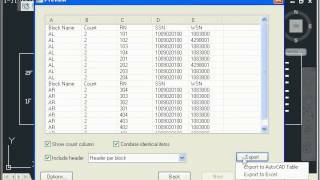 Imports the attribute definitions from Excel to AutoCAD. 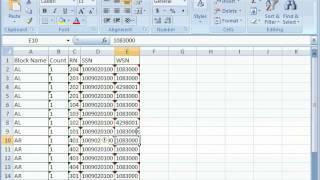 Exports the attribute definitions to Excel. Adds sequential numbering to the block attributes. Counts the blocks in multiple drawings and exports the result to Excel. You can watch the demo video on http://www.cadig.com/demo/. The software installation requires admin rights. The trial version will reverse the text in some random cells. As soon as you register successfully, this limitation would be removed immediately. You can place your order on http://www.cadig.com/buy/.